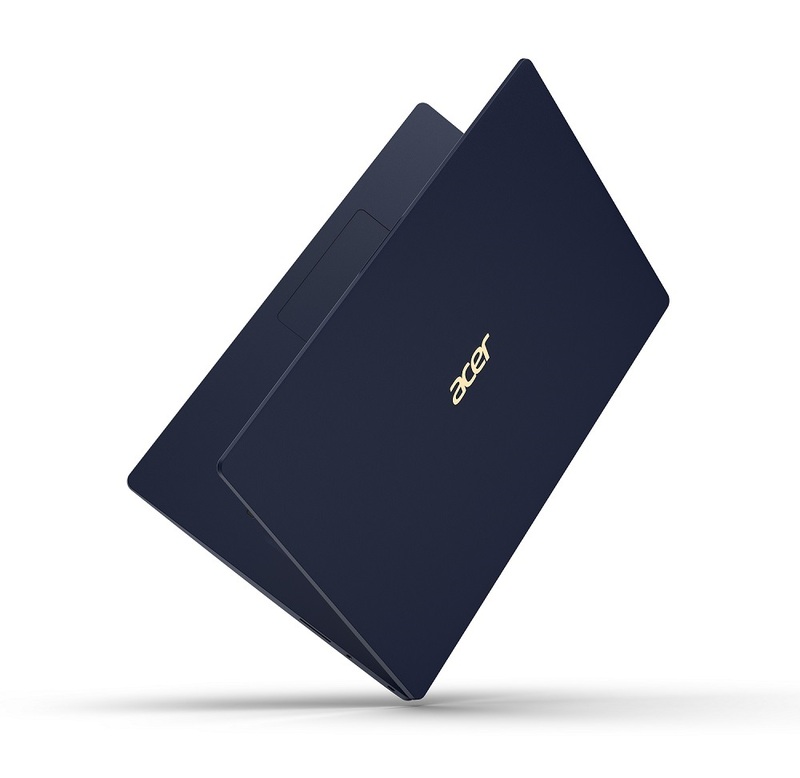 Acer has announced its new Swift 5 notebook designed for users who want superb portability, solid performance, and a touch of style. With a 15-inch display, the elegant chassis weighs less than 1 kg (2.2 lbs), ideal for people always on the go. The Swift 5 is powered by Windows 10, the latest Intel® Core™ processors and features exceptional performance and battery life that lasts through the workday. The Swift 5’s Full HD IPS1 touchscreen features ultra-narrow bezels measuring just 5.87 mm (0.23 inches), giving it an incredible 87.6% screen-to-body ratio to maximize the viewing experience. The Swift 5 features Acer Color Intelligence™ technology, which dynamically adjusts gamma and saturation in real-time, optimizing screen color and brightness without clipping or over saturation, while Acer BluelightShield technology allows adjusting of the screen’s blue-light emission over extended periods of use. The Swift 5 is constructed with advanced materials including ultra-light magnesium-lithium alloys for the top and bottom cover, and magnesium-aluminum alloys for extra sturdiness on the palm rest area. Thanks to the LED backlit keyboard, users can work effectively on the go all day and even at night. Powered by the latest Intel® processors, the Acer Swift 5 offers an exceptionally fast and responsive experience with battery life that lasts through the workday. The Swift 5 features Intel® Wireless-AC 9560 which offers 2x2 802.11ac wireless Gigabit performance that enhances streaming, sharing, conferencing, and gaming experiences. 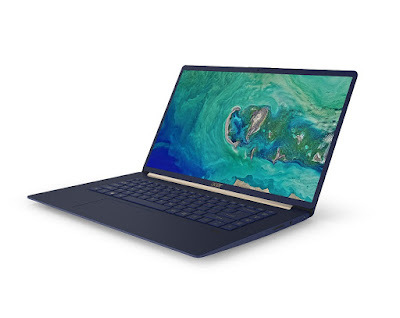 Up to 1 TB of SSD storage and up to 16 GB of DDR4 memory keeps the system fast and responsive, while connectivity is provided through one USB 3.1 Type-C Gen 2 port (10 Gbit/s data transfer, supporting power delivery and display output), two USB 3.1 Type-A ports (one with power-off charging functionality), an HDMI port, and an SD card reader. The Swift 5 supports Windows Hello through a fingerprint reader, allowing users to log in to their accounts faster and more securely. The new Acer Swift 5 was unveiled today at the next@acer press event held in New York, where the company announced a range of new devices and solutions for gamers, creators, families, students and professionals. For more information, visit www.acer.com/nextatacer.